Whether monochromatic or a burst of eclectic colors, your dream bridal bouquet needs to be as special as you are. How does one go about creating your vision in flowers? As in any artistic practice, the adept florist make new divine connections between timeless considerations—this creative process is first fueled by your unique particulars. The first of these, after your expressed vision and color palette, is the style of your gown. The “freedom bouquet,” a free-flowing, organic, cascading bouquet with lots of texture is romantic, yet whimsical. This loose bouquet styling pairs well with a wedding gown with a train. Next, the designer will consider where your wedding is taking place. A cathedral would call for a more formal, clean line, than the loose and free bouquet inspired by outside nuptials. Another consideration is what florals are in season. 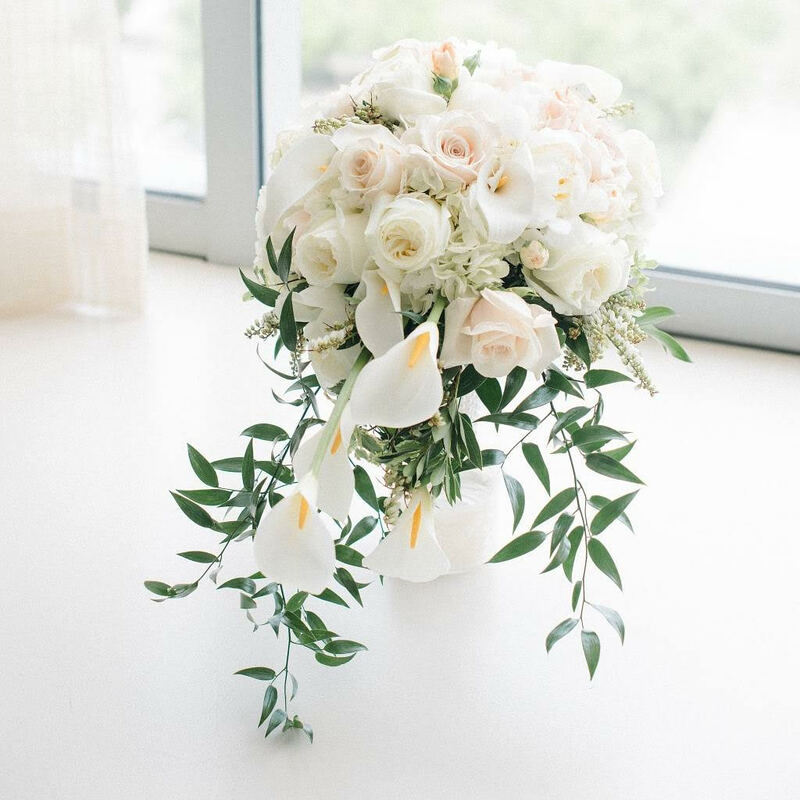 We support our local flower growers, and choose organic blooms as much as possible, so that your exquisite bouquet is as fresh and pure as can be.